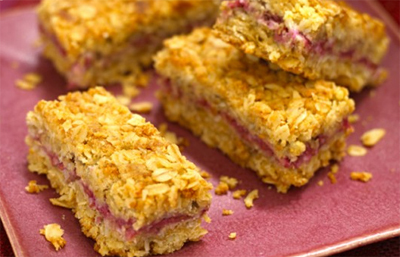 A delightful little flapjack with a hint of coconut and a ravishing raspberry centre. We use locally sourced fresh raspberries and organic oats. It’s the perfect accompiment to many of our teas, particularly the and .